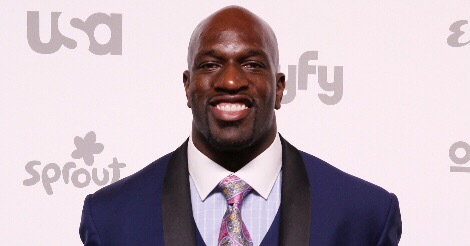 WWE Superstar Titus O’Neil was sent home from last night’s WWE Smackdown tapings shortly after arriving. It’s being said that he has been suspended for unprofessional conduct. His unprofessional conduct allegedly occurred during the end of the Monday Night RAW taping in Seattle, WA. After RAW had stopped going live on the USA Network the feed kicked over live to the WWE Network to continue coverage of Daniel Bryan’s retirement. During the live streaming WWE Network portion of Bryan’s retirement the WWE locker room came out to greet him at the top of the ramp. Included in the group of Superstars at the top of the ramp was the Chairman of the Board Vince McMahon. Once Bryan had passed his fellow Superstars at the top of the ramp they began to return to the back. While this was going on Titus O’Neil grabbed Vince by the arm in what is being described as a “playful, physical way.” Vince responded in kind by shoving O’Neil away from him and playfully threw his arms up and laughed at Titus. I was actually able to see the exchange as I was watching the WWE Network live stream and the exchange made it on screen. It caught my attention immediately and I went back and watched the exchange a few times. I make mention of it in this week’s WrestleZone Radio RAW Reaction which can be found at the bottom of this post. It’s being said that McMahon was angry that he was grabbed by Titus the way he was and that is what led to Titus’ suspension. As soon as O’Neil arrived at Smackdown he was told that he was going home. The word going around is that the suspension could be for up to 90 days. That would put Titus out of action for WrestleMania 32.